but if you do, please credit me. The hardware is very, very compact. The box it arrived in was so small I thought the seller had screwed me and shipped only the cartridge. 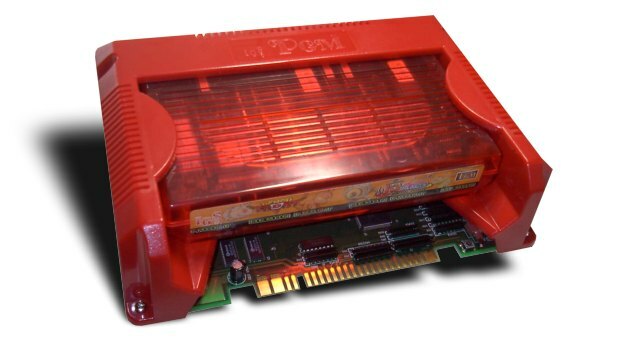 The PGM cartridge is slightly smaller than a Neo Geo cart, put packed with a lot more than just mask-ROMs. The molded cover is a nice touch, and makes it look a lot friendlier than your average MVS setup. 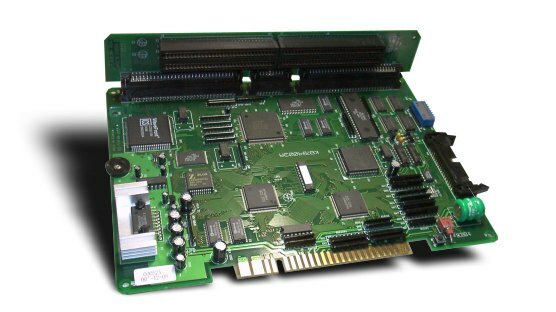 With the shell removed the PCB is nearly identical to a later-model Neo Geo MVS. Mainboard with custom ICs on it, and the same two processors - a Motorola 68000 and a Zilog z80. 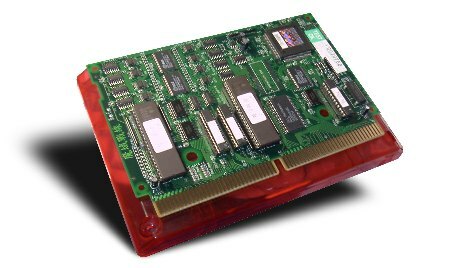 Unlike the MVS however it has onboard switches (to the right of the JAMMA connector). One for TEST, one for Reset. There's a volume adjust on the left edge, and on the right edge are the P3/P4 connector and the DIP switches. 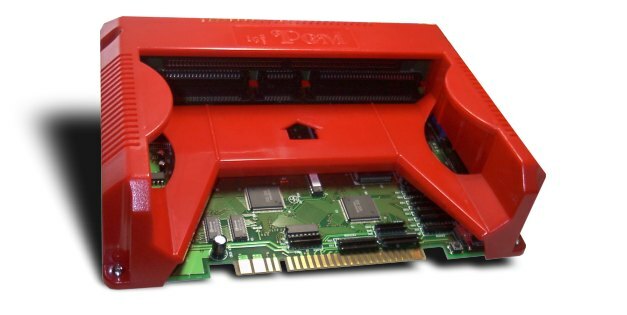 The game cartridge features, like the MVS, two PCBs, but with a separated edge connector (so you don't confuse the two, maybe?) Those two EPROMs are 16mbit and 32mbit chips. The other PCB has a handful of mask ROMs on it.